Together, we establish partnerships and supports to fulfill an active and healthy life. 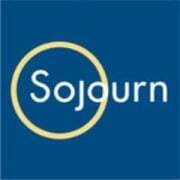 Sojourn provides a full spectrum of care services to assist aging adults and adults with physical, emotional and mental health issues meet the ever changing needs of their families. Sojourn’s care model allows your loved one to transition into a level of care that matches their unique and specific needs. With the help of our compassionate care professionals, our goal is to assist elders and adults with special needs so they remain active and integrated in their communities and avoid any feeling of isolation or segregation. Would you recommend Sojourn Adult Day Services?